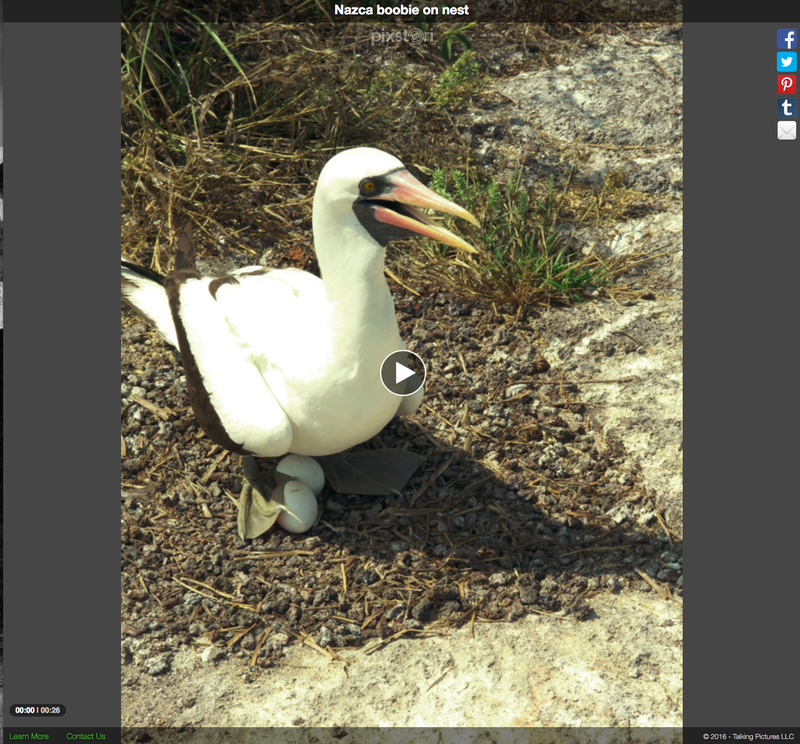 My recording about a bird nest on the Galapagos Islands using PixStori. At the National Council on Public History conference last week in Baltimore, Michael Frisch of the University of Buffalo introduced PixStori, a iOS app that he helped develop that easily shares photographs with audio recordings. Frisch is a leader among oral history practitioners and he developed the app as a way for people to record short oral histories to accompany photographs. Users pull up a photo from their iPhone or iPad and then record a short message (up to 20 minutes), which can then be shared via email, Twitter, or Facebook. I experimented with a photo of a bird and it’s remarkably easy to use. It’s definitely fun for sharing photos, but I can easily see museums and archives using it to share historic images or documents with a comment by an historian or help promote an upcoming event. But I can also see how it might be used in-house to record visitor reaction to proposed exhibit or to send a message to your staff about a site emergency. It appears that the recordings are stored at PixStori, so recipients don’t need to have the app installed but do need an internet connection to see and hear the file. The app is available free for iOS devices and an Android version is underway. This entry was posted in Community engagement, Historical interpretation, Social media, Technology and tagged Michael Frisch, National Council on Public History, PixStori on March 22, 2016 by Max van Balgooy.